The present case has been reported in the journal Medicine. A patient who developed RHS (Ramsay Hunt syndrome) after being infected with varicella-zoster virus encephalitis, along with a pontine lesion, is reported in the present study. A 41-year-old male patient presented with his mouth askew for 7 days, and dizziness, accompanied by hearing loss for 3 days. The patient was initially diagnosed with RHS. Brainstem encephalitis was confirmed by lumbar puncture and cerebrospinal fluid. 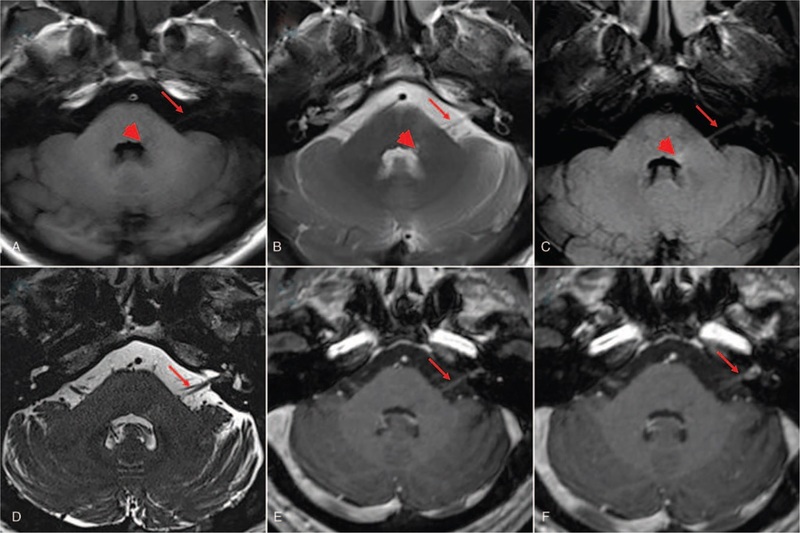 Brain magnetic resonance imaging (MRI) and diffusion-weighted imaging (DWI) revealed how VZV entered the intracranial space along the vestibulocochlear nerve and facial nerve in the acute period. Intravenous acyclovir, IV, immunoglobulins (IVIg) and methylprednisolone were administered. The herpes was cleared up and left facial nerve palsy was improved, but hearing loss in the left ear did not improve. - An MRI was necessary for some VZV infections limited to the cranial nerve, although there was no evidence of brain stem injury. - DWI provided evidence, showing how VZV entered the brain in the early stage. This allowed the doctor to judge the necessity of a lumbar puncture.